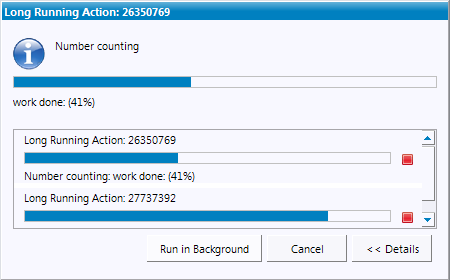 Difference between revisions of "Rap10M4 News"
Here are some of the more noteworthy things available in milestone build M4 (June 08, 2007) which is soon available for download. Multi-selection can now be enabled by passing the SWT.MULTI style flag to the constructor. setSelection(*), getSelection(*), select(*) and deselect(*) will respect this flag and allow you to query and manipulate the current selection. Except for setMovable() (controls whether columns can be reordered) the TableColumn API is now complete. Due to the efforts of making RAP-APIs a subset to RCP-APIs the package org.eclipse.ui.entrypoint has been renamed to org.eclipse.ui.application despite the fact that there is no need for implementing IPlatformRunnable as application definition. Please use the organize import functionality of the Eclipse IDE to adjust your existing source code. The RAP workbench offers you a new extension point: perspectiveExtensions. 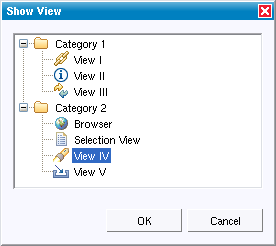 With this, you can contribute new views or view shortcuts to existing perspectives across several plug-ins. The extension point makes it easy to contribute additional views from other plug-ins to a perspective defined in your core UI plug-in. 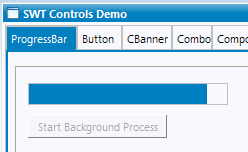 The RAP workbench has now two new extension points: actionSets and actionSetPartAssociations. While the first one should be very familiar to RCP developers, the second one provides an infrastructure to bind your action sets to specfic workbench parts. This means you can active / deactive specfic action sets only for specfic parts. See also the extension point description for action sets and the actionSetPartAssociations. 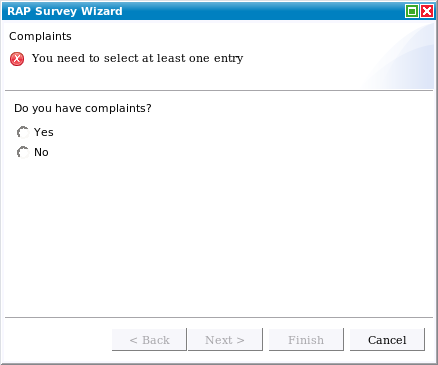 Additionally you can contribute new action sets to existing perspectives with the help of perspectiveExtensions. The workbench now provides the progress API. 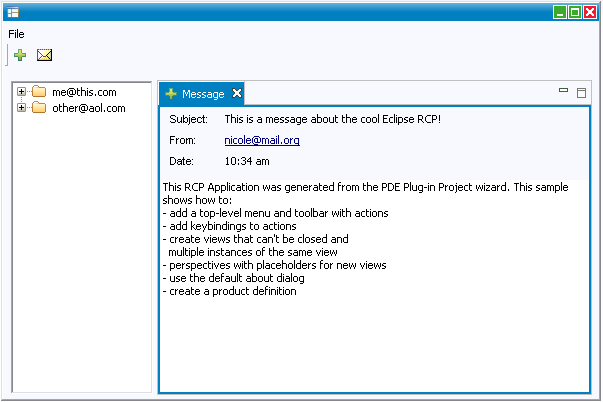 Usage examples can be found in the demo plug-in at org.eclipse.rap.demo.actions.JobAction and org.eclipse.rap.demo.actions.JobActionWithDialog. 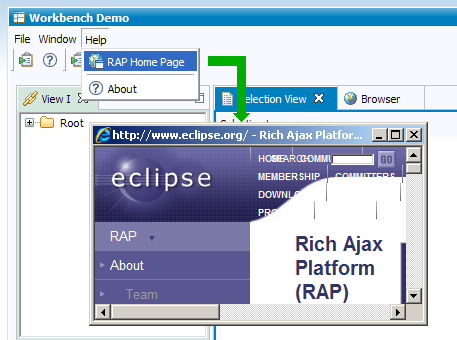 You can find those actions in the RAP demo workbench in the Planning perspective. You've now the possibility to attach an IPartListener or IPartListener2 to a workbench page to stay informed about all part-related activities like when they're opened, closed, (de)activated or when they become hidden/visible.